Electronic devices left plugged in, even when turned off, still draw power. That’s called phantom power or standby power, and it’s costing you money. Plug the following electronics into a power bar with a timer or auto-shut off and make sure they are off during periods of inactivity. For example: a television, home theater system, computer, monitor, printer, scanner, rechargeable devices (MP3 players, cell phones, battery chargers etc. ), and game console al consume power when plugged in, even when they are turned off. 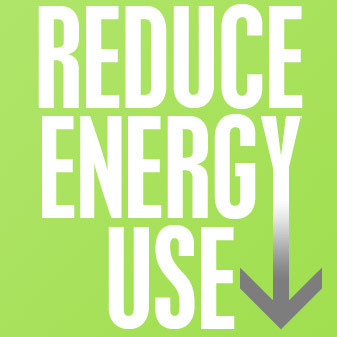 By reducing this unnecessary power use, you could help save up to 15% of your electricity use and also prolong the life of your systems as well, since all electronics degrade over time if they are constantly in use. When replacing your computer, look for an ENERGY STAR qualified model. Laptops typically will use less energy than desktop models. A screen-saver doesn’t save energy. Make sure any computer you purchase has an automatic power-down function that will automatically switch the monitor into sleep mode (preferably a deep sleep mode) after a set period of inactivity. (A feature mandatory to bear the ENERGY STAR symbol). Applying a screen saver just turns the scree to black, however all functions are still turned on. Here are some more tips for saving energy at the office. Not surprisingly, the tips that apply at home also apply at the office as well. As an owner you can reap the benefits by reducing your operating expenses. For employees it is about doing the right thing and helping your company stay profitable which means jobs are preserved. Something we all care very much about in these times of volatile economies. Be sure to always turn the equipment and lights off after hours. Unplug coffeemakers, toasters and microwaves before shutting the office down at the end of the day, weekends or holidays. Take advantage of the sun. Open shades and blinds during daylight hours. Let the sun heat and light your space naturally; shade it when it’s hot. In the winter, close your blinds and drapes in the evening. Whenever possible, choose ENERGY STAR qualified products. Take the time to set the energy-saving features on all of your office equipment to put them into sleep mode when not in use. Use revolving doors to access entrances. It keeps cool/hot air inside.